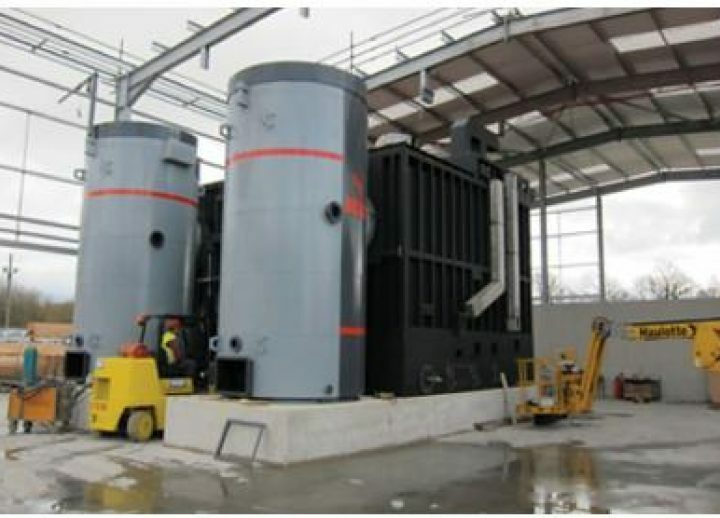 The project consisted of the construction of a new 6.0MW Biomass Boiler at the BSW Newbridge Sawmill near Builth Wells. 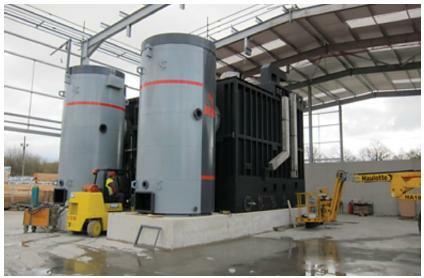 The new facility allows the Sawmill to power drying kilns from waste timber material. 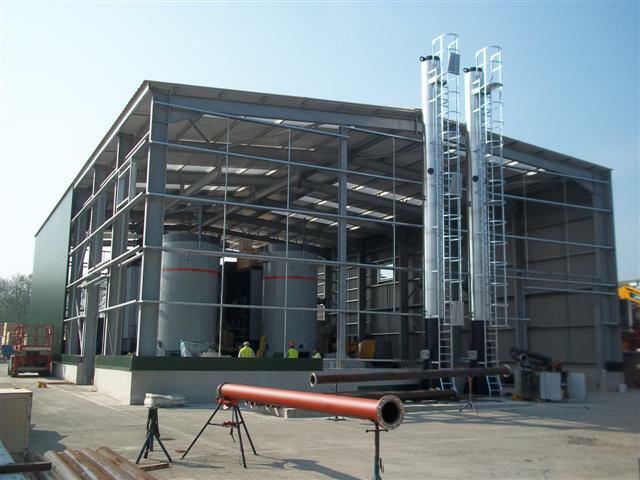 The works comprised of the erection of a steel framed industrial building, reinforced concrete slabs of varying levels and tight construction tolerances, reinforced concrete perimeter walls and a reinforced concrete fuel store and conveyor room constructed to supply the boilers. 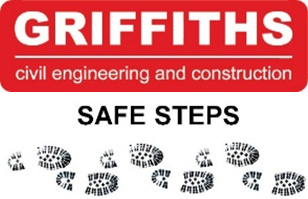 Additional works included the relocation of existing utility services, construction of buried pipe work and electricity supply, construction of an internal blockwork wall and external works to tie the building into the existing topography. 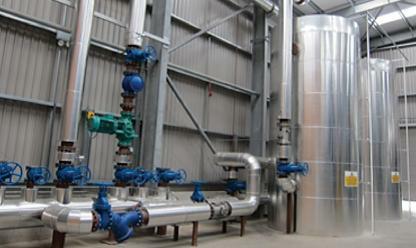 Provisions have also been made for the potential expansion of the system to power other areas of the sawmill site. 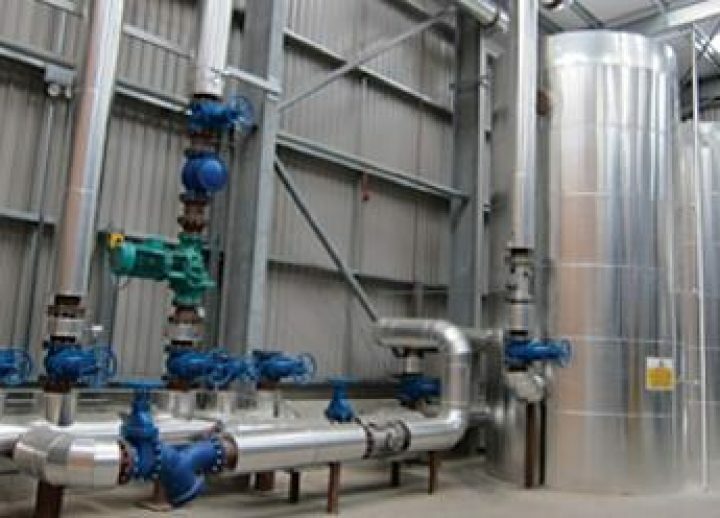 The project operated under the JCT form of contract and was delivered to a tight time frame with the delivery of the boiler units achieved just 2 months after being appointed Principal Contractor. 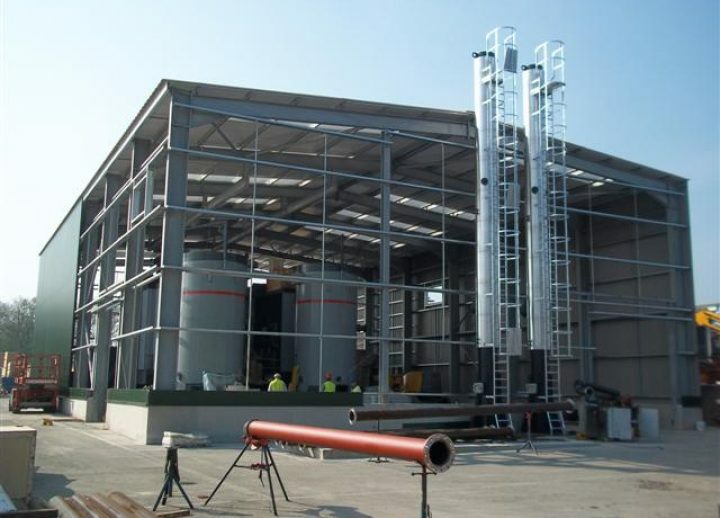 The programme was reduced by phasing the works to enable the boiler units to be craned into position through the roof prior to the completion of the building. 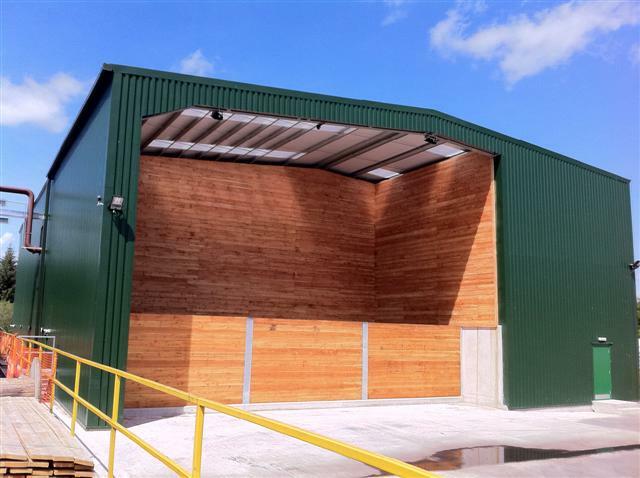 Work was undertaken within a working sawmill and the logistics of deliveries and plant were carefully organised to ensure minimal disruption to the day to day running of the sawmill. 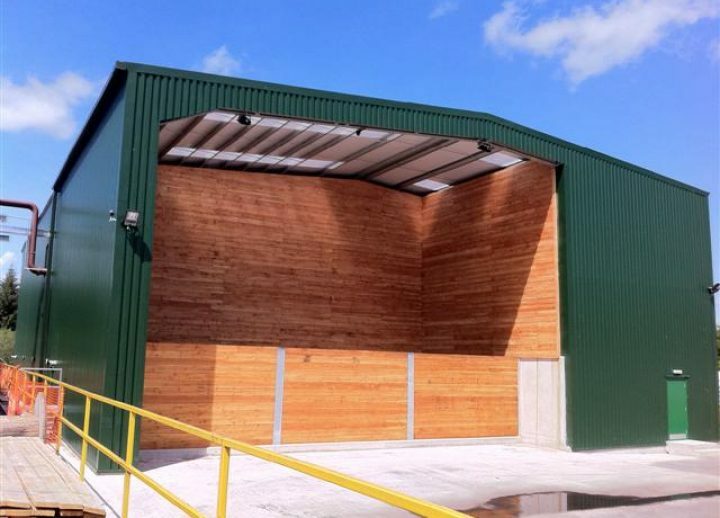 Close liaison with all stakeholders ensured that the project was delivered with little disruption to sawmill staff, customers or the wider public.